If you’ve been following along with Beauty Rant for a while you will know that I’d much rather find some affordable makeup gems on the high street than fork out £££ on high end brands. One of my favourite places to find high end makeup at lower prices is TK Maxx. To be honest, TK Maxx is my go-to for most things, you never know what you’re going to find and I love that! Last weekend my boyfriend and I went for a trip to our local TK Maxx store (probably to find candles tbh, we’re obsessed) and I found some great deals I couldn’t resist! Usually retailing for £41.00, I spotted the Aurora Glow Kit on sale for £19.99! I love highlighters that have quirky undertones in certain lights, so as you can see I’m spoilt for choice with this palette as the top row is your more neutral/normal tones and the bottom row are more daring shades. As I don’t ever buy high end makeup, I actually didn’t know you could buy Tarte makeup here in the UK so these lipsticks were a nice surprise! I’ve been looking for a dark brick-red liquid lipstick for a while so was instantly drawn to the shade Vibin, but then I spotted this extremely vibrant purple shade called Friyay and I knew they had to come home with me as a pair. Tarte lip paints usually retail for £17 each but I managed to get Vibin for £7.99 and Friyay for £9.99! I admit, these concealers aren’t from TK Maxx but I did buy them on the same day as the above items so I thought I’d include them! It occured to me the other day that I don’t actually like any of the concealers I own so needed a new one. 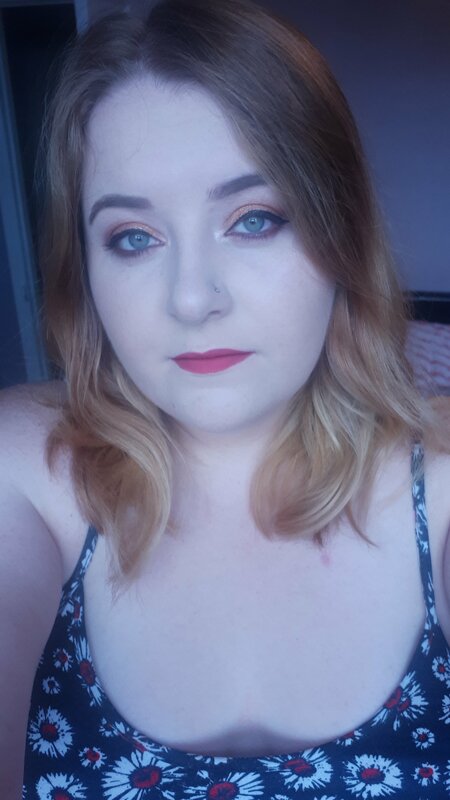 I recently watched Jeffree Star’s video with mmmmitchell on YouTube and he used the Barry M All Night Long Full Coverage Concealer which looked stunning on Jeffree so I thought for £4.49 why not give it a go. I picked up the two lightest shades, 1 Milk and 2 Oatmeal – one for concealing any blemishes and one for highlighting under my eyes. Expect reviews on these products very soon! Great deals! You’re going to love the Tarte lippy! How was the highlight? I saw it at TJMAXX and I decided not to buy it becuase​ of the color story. I really like the ABH Aurora highlighters! They can be a lot more muted on the skin then they look in the pan, but still a lot of fun. Definitely good quality! Wow, I can’t believe you found Tarte! I know right, I never find anything this good haha!